Grasping Wastrels vs Beaches Forever, Inc. 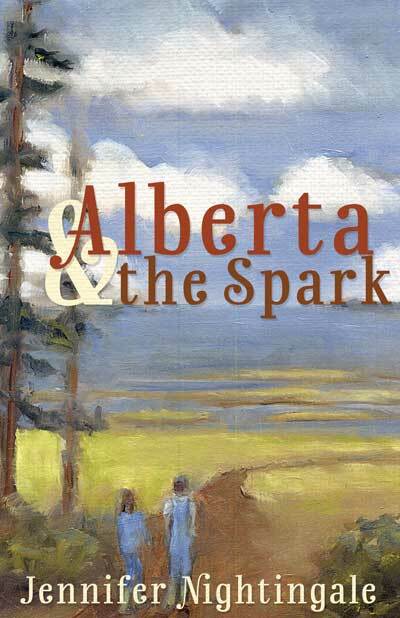 In her charming debut novel Alberta & The Spark, Jennifer Nightingale presents an unforgettable character, 13-year old Alberta Evans, whose love of nature is as boundless as her belief in the goodness of all people. Set in a Pacific Northwest oyster town in the 1970s, Alberta struggles with adolescence and finds courage through her unique friendship with 15-year-old Felix, a kindred spirit who approaches the natural world as a scientist, while she reveres it with magical wonder. Together, they confront bullies, racism and disorienting family changes. They persevere and help bring their fractured coastal community together. 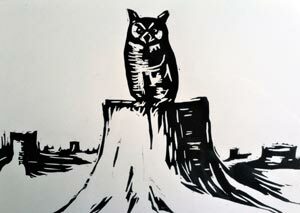 Order your print or E-book copy direct from Nestucca Spit Press and help support sustainable Pacific Northwest publishing. The book will also be available in independent bookstores across the region in the summer of 2019. Customers can use Paypal or make other arrangements for payment by email to the author or contact through this web site. The special edition (100 copies) features a signed copy, bonus poems, a vintage postcard bookmark and a magical keyhole limpet. $30 plus $5 shipping. Regular edition. $20 plus $5 shipping. A special limited print edition of 300 copies, signed by the author is now selling for $30 (plus shipping). A handmade bookmark and bonus short story will also be included. In 2017, at the age of 53, I experienced an extinction of self. For the first time in my life, I could not get a job, I was nearly broke, and I had no freedom of movement or conscience. I was an American outcast trapped in a labyrinth known as probation, desperately engaged in the ultimate struggle to stave off marginalization. There I was, lying on the couch, talking to my dead husky, words echoing through the house that was empty because I had performed terrible hospice care on myself and given away almost everything. Then I found two senior dogs named Bonnie and Clyde, residents of Angels for Sara Sanctuary, a refuge along the Lewis and Clark River. There, walking two dogs, I resurrected as a human being. I read the river, tracked elk, watched birds, slayed blackberries, skipped rocks, cursed clearcuts, walked in rain and went deep into heretofore unknown areas of my creative mind. With Bonnie and Clyde at my side, I learned important lessons of faith, friendship, family, face-to-face encounters and the timeless remedy of nature, lessons I intuit can enlighten others who experience a cataclysmic personal event. 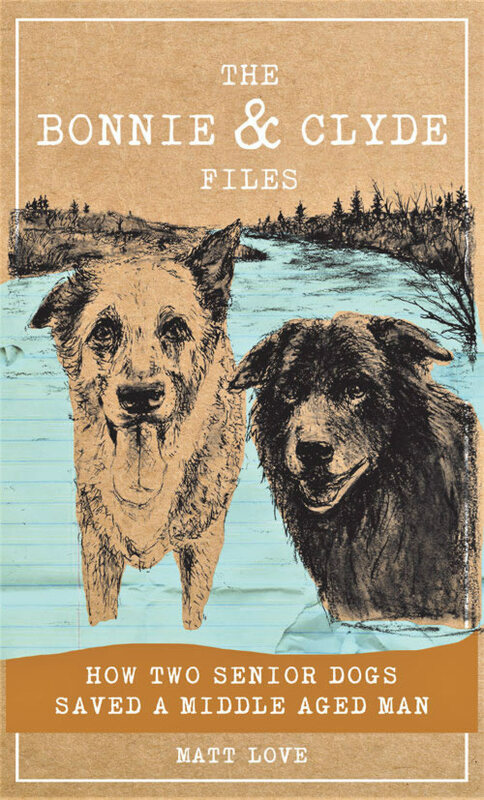 In The Bonnie and Clyde Files, I merge essay, cultural criticism, memoir, streams of consciousness and poetry to create a hybrid of a genre that is unlike any dog book I have ever read. I wrote on instinct, channeled Walt Whitman, and became a dog to better explore humanity, my country and the treatment of men and women at the hands of the state’s criminal justice system. I wrote to understand all the terrible, bizarre and wonderful things that were happening to me. I invite you to support my latest literary endeavor by purchasing The Bonnie and Clyde Files direct from Nestucca Spit Press, scheduled for release in April 2019. The book will be unavailable in stores or libraries. Half of the profits are earmarked for the Angels for Sara Sanctuary to continue their excellent work. Customers can use Paypal or make other arrangements for payment by contacting me via email or through this web site. Barter is also accepted. I started the blog in 2017 after my life took an unforeseen direction that ended my professional, personal and creative life as I knew it. As the blog unfolded, I saw my writing head in surprising directions and I connected with readers from all over the world who seemed interested in what I had to say about beaches, oceans, dive bars, rain, rivers, clearcuts, dogs, elk, birds, books, writing, tennis, fiction, driftwood forts, poetry, probation, rapprochement, reinvention, Oregon history, metaphors, macrame and a lot more. Who knows where year two of the blog will journey? Thank you for joining me. I hope readers can make a financial contribution to support this ongoing editorial endeavor. It will make a big difference in keeping me going as a writer and NSP as a unique Oregon publisher. Give what you can. Spread the word, too. I started the blog in 2017 after my life took an unforeseen direction that ended my professional, personal and creative life as I knew it. As the blog unfolded, I saw my writing head in surprising directions and I connected with readers from all over the world who seemed interested in what I had to say about beaches, oceans, dive bars, rain, rivers, clearcuts, dogs, elk, birds, books, writing, tennis, fiction, driftwood forts, poetry, probation, rapprochement, reinvention, Oregon history, metaphors, macrame and a lot more. Who knows where year two of the blog will journey? Thank you for joining me. I hope readers can make a financial contribution to support this ongoing editorial endeavor. It will make a big difference in keeping me going as a writer and NSP as a unique Oregon publisher. Give what you can. Spread the word, too.